Former PacificTime editor and Marketplace foreign editor George Lewinski is offering an interesting China-related event in his Berkeley home, 2918 Elmwood Court, on Sunday evening, Oct. 1 (the anniversary of the establishment of the People’s Republic of China! ), at 7:30 p.m., with newly minted author Lenora Chu. 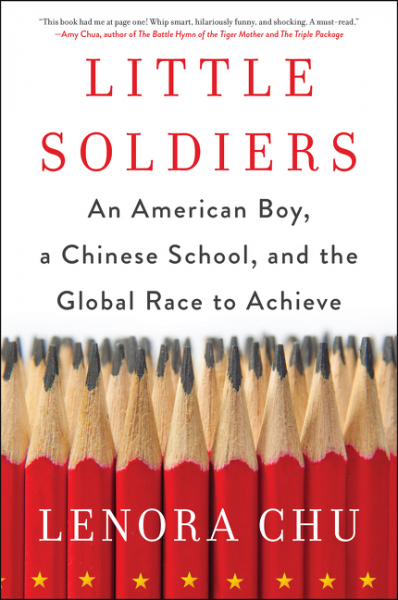 Her new book, Little Soldiers, is about the regimented nature of China’s education system, told through the lens of watching her own American son go through part of it. 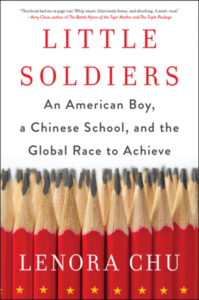 “When students in Shanghai rose to the top of international rankings in 2009, Americans feared that they were being “out-educated” by the rising super power. An American journalist of Chinese descent raising a young family in Shanghai, Lenora Chu noticed how well-behaved Chinese children were compared to her boisterous toddler. How did the Chinese create their academic super-achievers? Would their little boy benefit from Chinese school? Lenora Chu is an award-winning journalist with more than a dozen years’ experience. 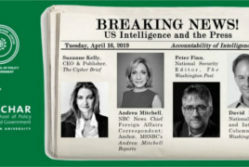 She is a former TV correspondent with Thomson Reuters and a contributing writer with CNNMoney.com, and her freelance work has appeared in The New York Times, The Christian Science Monitor, APM’s Marketplace and PRI’s The World. Chu holds degrees from Stanford University and Columbia’s Graduate School of Journalism and speaks Mandarin. Since 2010 she has split her time between California and Shanghai. She and her husband Rob Schmitz, NPR’s Shanghai correspondent, have two young sons. Interested? 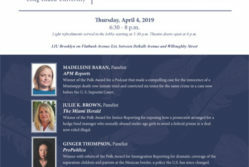 Please contact George Lewinski at glewkinski@gmail.com to RSVP. Or you can call him on his mobile phone: 415-713-9898.